‘Community Engagement’ is the cornerstone of good local governance, and an integral component in how we conduct our affairs and how we reflect the expressed needs of people living in Penrith. 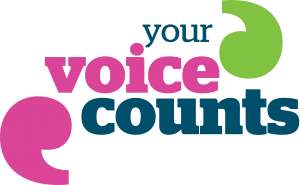 You can have a say and participate in many other ways, for example, having a conversation with the Mayor at open surgeries, arranging to speak at council meetings, reading information in our press releases, newsletters, on our website and social media pages, and responding to engagement and consultation exercises when these are run. You might also want to submit the name of someone whose activities help to enrich the lives of the residents of Penrith by putting their name forward for a Citizen Award. Overall Goal of Community Engagement – Our overall goal is to ensure we engage with you in the right ways. We want to encourage more people to participate in what the Town Council does or hopes to do. We want you to have a role in decision-making and planning that affects your life, the lives of your family and other people in the local community. By providing a variety of opportunities for you to participate and feed in your views (as described above), our decisions will become increasingly more sensitive and responsive to your needs and concerns. Please do get involved. How would you like us to engage with you? – Completing this online survey will help us streamline information procedures and it will help us select the community engagement methods you prefer or that best suit your needs.